The Holidaze is upon us! How do I know? Well, yesterday it was 80 degrees (no joke) and today it snowed (also no joke). Although I love the heat, it does feel disconcerting to be in shorts a week from Thanksgiving. 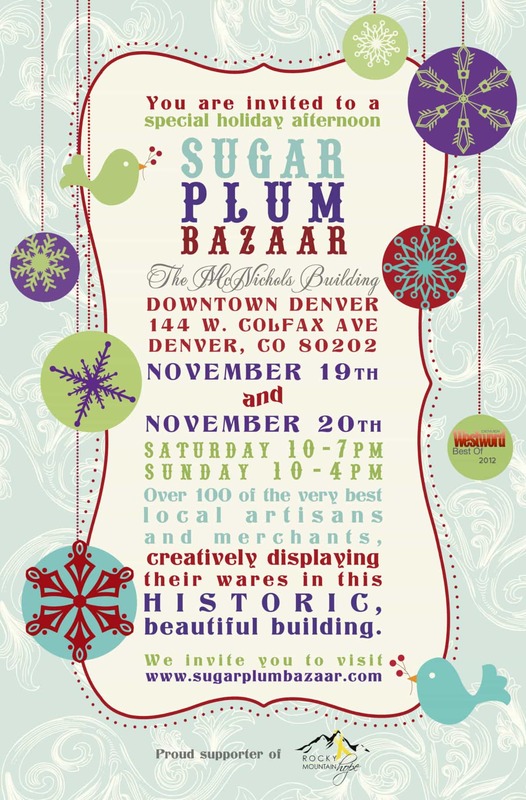 This weekend is Sugarplum Bazaar, and it will be my third holiday show with them. I have oodles of new things in the works as I finally hired a metalsmith that can help me churn out some pieces so I can work on new designs. If you’re looking for gifts for yourself (aren’t we all?) or for loved ones come check out this indie craft fair with the best makers on the front range. We’ll be in the newly remodeled McNichols Building in civic center park all weekend.